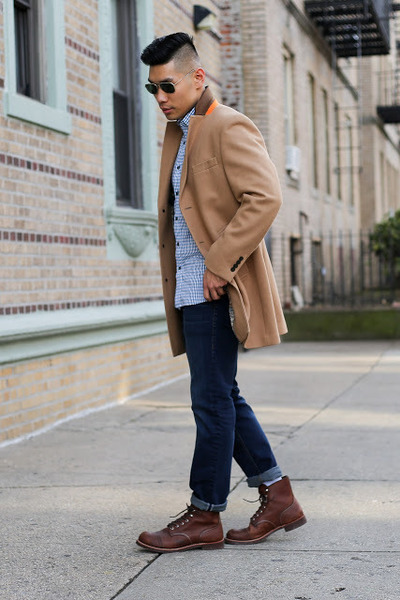 It’s not quite warm enough yet to ditch our coats so the topcoats and sweaters can stay. One easy way to transition to Spring style is switching your base layer. Change it up with a brighter pattern and a lighter fabric. I paired the camel topcoat with a blue checkered shirt because the colors go well together and the pattern is a nice way to brighten up the mood. I finished off the first look with a dark denim and pair of boots.